Dislikes: other dogs moving in on her stuff! Escaped or lost? : no - don't jinx me! Known history: she came from Thunder Bay Humane Society after being rescued from trapper’s cabin in Long Lac Greenstone, Ontario. 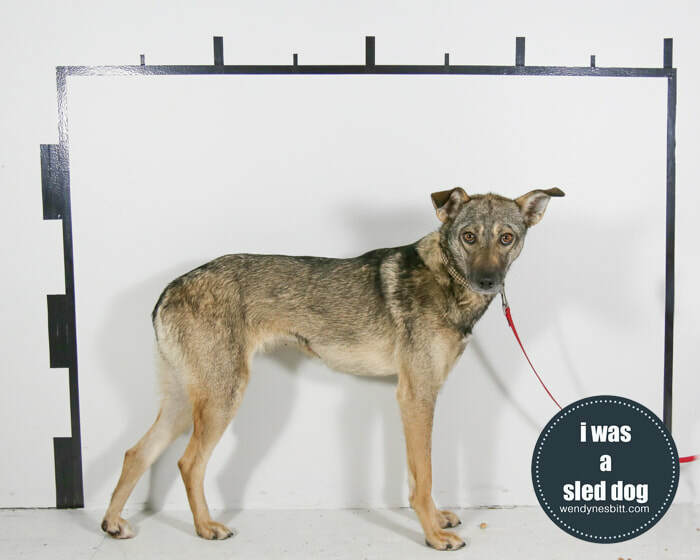 SESSION NOTE ~ Mary Kate, like Ashley, was one of a group of sled dogs found abandoned, attached to 1" tethers and left for dead just outside of Thunder Bay, ON (#thunderbay12). When they were rescued, three of the 15 dogs had died. Through the amazing network of connections, some of the dogs were brought out to BC where they had a chance at finding an adoptive home. I was there when Ashley and Mary Kate arrived at the airport in Victoria - they were greeted when signs and smiles. Mary Kate is an overthinker - When she came to my studio she was with Japser, Beamie and Ashley so she watched them a lot. When it came time for her photo, she stood in position without much help, but you can see the treat on the floor below her - I don't think she ever ate it. This session was only a couple weeks after she had arrived into care and everything was still super new and her foster mom wasn't there so that was weird too. I recently went on a group sleddie walk in the woods and she took treats from my hand, but only when she didn't seem to notice it was my hand. When she realized it was me, she backed off and waited for me to drop the treat on the ground. And then took it quite willingly. 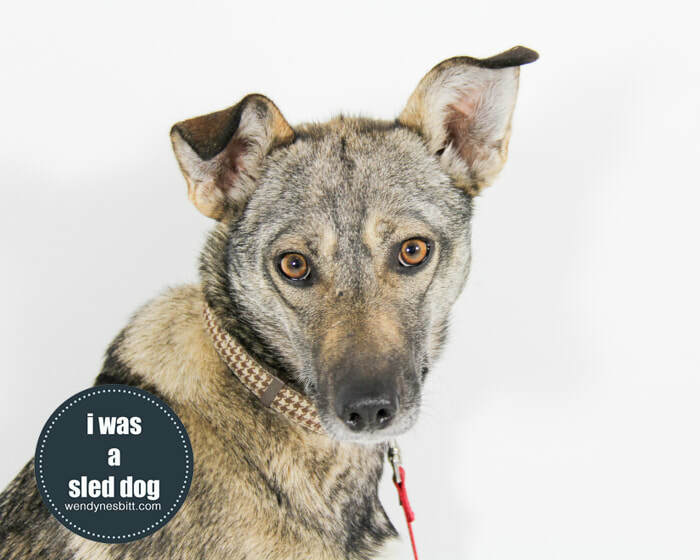 She is super smart and is still available for adoption through the Victoria Humane Society. Someone adopt this remarkable gal already! !